Cary Grant, Thelma Leeds, Donald Meek et al. Double bill of American classic. In 19th century India, Sgt. 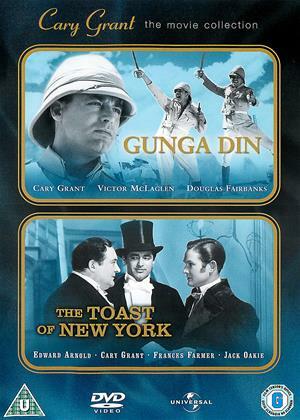 Archibald Cutter (Cary Grant) with his group of soldiers and a native waterbearer, must stop a secret mass revival of the murderous Thuggee cult before it can rampage across the land in this epic war adventure. Just before the Civil War, Nick Boyd (Cary Grant) and his chums decide to con the Southern townsfolk into buying bars of soap that might have a $10 gold piece inside. However, they soon get found out and are chased out of town and escape across the border just as the war starts in this riotous comedy.